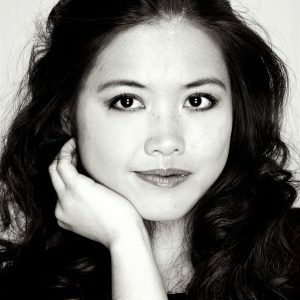 As her name indicates, Nadia Ho de Guillén is Asian-born, European-raised, and Latin-American-spirited. She was born in Vietnam and moved to the Czech Republic with her family when she was a child. Belonging to the so-called “banana generation,” Nadia grew up simultaneously in two completely different worlds. Her adolescence was significantly marked by the racial prejudice ingrained within the Czech society and the gender stigmatization of the Vietnamese society. Nadia completed her bachelor’s degree in International Business at the University of Economics in Prague, the Czech Republic, and her master’s degree in International Brand Management at Kedge Business School in Marseille, France. She believes that her inexhaustible drive to succeed, passionate curiosity, and unyielding optimism are the core factors that have opened doors to many great opportunities for her. Since her university studies, she has lived, studied, and worked in Argentina, Canada, Mexico, France, and currently is residing in the USA. Her wide professional scope ranges from international business, academic research, and consulting to marketing, event management, and cross-cultural communication. She has gained professional experience working at non-profit organizations, global for-profit corporations, universities, and start-up projects. Nadia is also an author and co-author of four books published in Vietnam and Colombia. Her book Hộ Chiếu Xanh Đi Quanh Thế Giới: Những Bước Để Trở Thành Công Dân Toàn Cầu (translated as “Green Passport Goes Around the World: Steps to Become a Global Citizen”) has won the “2016 Top 20 Most Valued Books” award by Ho Chi Minh City’s Book Street. Moreover, an excerpt from the book was used in 2017 as a reading material for the Vietnamese literature module of the National High School Graduation Examination, conducted by the Vietnamese Ministry of Education and Training. Since she is convinced that interpersonal connections are the most effective way to combat prejudice, most of the projects Nadia has been involved in are related to global citizenship awareness and education. She is a co-founder of the project “Green Passport Goes Around the World” that commits to inspire Vietnamese youth to become global citizens and is soon launching an online education platform that aims to bridge gaps between people across the globe and to bring them together on the same page. She has helped and inspired many young people to become published authors, ethical leaders, and international scholars. Nadia’s dream is to see the world evolve to a point at which the way people are treated and perceived does not depend on the issuing country of their passport, the color of their skin, or the physical traits that they were born with, but rather on who they really are. All of us are different, and living peacefully in this world requires mutual respect, tolerance, and knowing limits and boundaries. We should not laugh at our differences, but celebrate and nurture them.